Americans know how to put on a great airshow and Thunder Over Michigan is one of the best. The Wayne County Airport Authority brings the Breitling Jet Team, the US Navy F/A Super Hornet, the US Air Force F-22 Raptor and many more aircraft to the Willow Run Airport on August 20-21, 2016 in Ypsilanti, Michigan USA. The combination of air and ground entertainment is hard to beat and worth the drive. 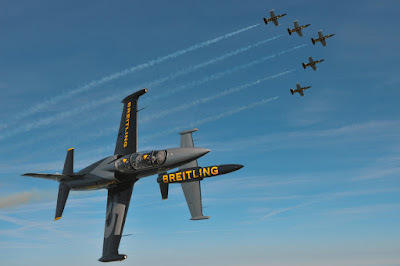 "This is Breitling's first-ever performance and one of a limited number in North America this summer. 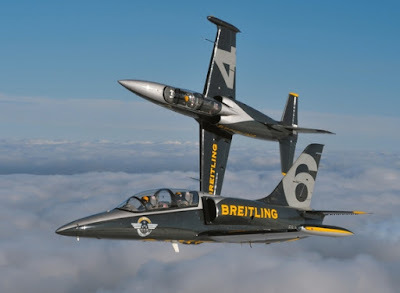 Based in Dijon, France, the Breitling Jet Team is known worldwide for its tight formation flying in seven distinct black and gold Aero L-39 Albatross jets. The jets are powerful, lending themselves to a meticulously coordinated performance that has the jets flying within inches of each other at speeds exceeding 420 mph. 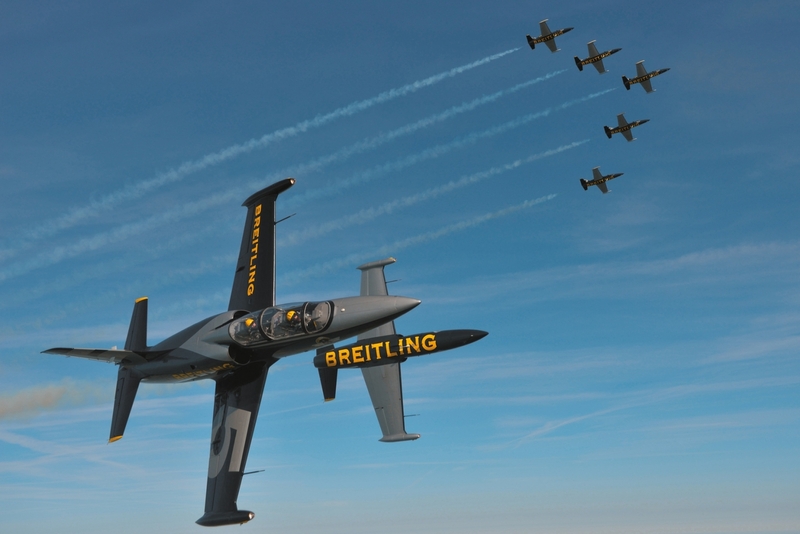 “We are delighted to welcome the Breitling Jet Team. Their performance is compelling and well choreographed,” said Kevin Walsh, air show director. “This summer is the last time they are performing in the states because of the incredible demand for them overseas.”"
Joining the show over the airport is the modern battle reenactments and camps along with unique helicopters like the Soviet Mi-24 Hind, the AH-1 Cobra, the CH-47 Chinook and the UH-1 Huey. 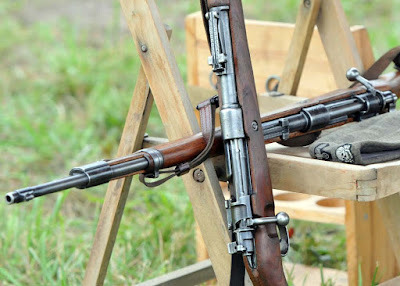 The battle participants have large encampments full of historic equipment and a military vehicle display which is open to the public as well. 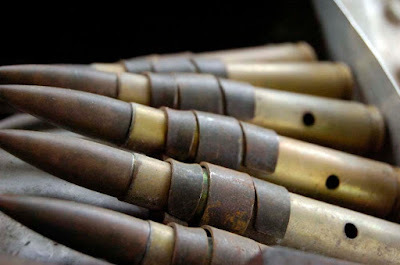 "The WWII Battle brings to life the sights sounds and smells of ground and air warfare. Using realistic historical re-enactors and restored vintage aircraft, tanks, half-tracks and other equipment, this incredible reenactment brings history to life! Watch in awe as U.S. and German troops square off in battle before your eyes featuring authentic armor and reenactors in historically accurate dress." Also this year will see the introduction of the Batcopter and the Batmobile. "Originally featured in the first Batman movies and TV show, this aircraft has been restored to airworthy condition by Captain Eugene Nock. Come on down to Thunder Over Michigan this summer for your chance to see the famous Batcopter accompanied by its partner in crime, the Batcar!" You can find ten reasons provided by Thunder Over Michigan for making it to the 2016 show after the jump. We have an impressive list of all of the wonderful aircraft you can see this year. You'll be able to get up close and personal and see just how magnificent this impressive machinery is. From WWII to today, don't miss your chance to get your hands on aviation history. 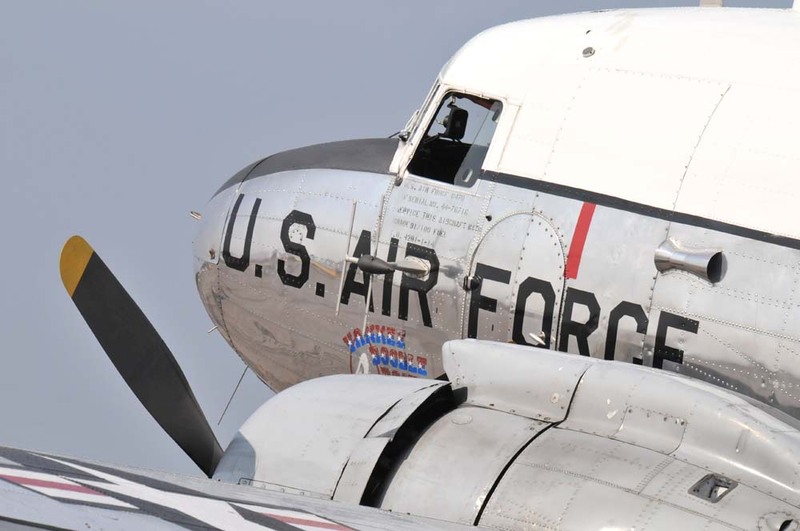 Whether it's in our B-17 "Yankee Lady", B-25 "Yankee Warrior", C-47 or WACO Biplane; you can book a ride in any of the Yankee Air Museum's historic flyable aircraft and experience what it was like to be a military pilot! The F-22 Raptor will be making its first-ever appearance at Thunder Over Michigan and it is one of only 23 North American appearances in 2016. The Raptor is the world's most advanced fighter aircraft and one of the most sought-after demonstrations on the air show circuit! Make sure you get your tickets and come see the F-22 Raptor at the Air Show this month! The U.S. Navy's top fighter aircraft, the F/A-18 Super Hornet push speeds of up to 700 mph, and will be performing all weekend! Make sure you see this amazing aircraft! Breitling Jet Team will join us from Europe at Thunder Over Michigan for their only Mid-Western appearance during their U.S. tour! Their performance includes formation flying, opposition passes, solo routines, and synchronized maneuvers. The team performs across Europe and the Middle East and we are lucky to have them this year at Thunder Over Michigan before they head back to Europe! Willow Run is the home of the Historic Willow Run Bomber Plant where many Rosie the Riveters of World War II worked hard every day to support our troops and the home front. Meet Yankee Air Museum's very own Rosie's and learn about how you can help save the historic bomber plant! The WWII Battle brings to life the sights, sounds and smells of ground and air warfare. Using realistic historical re-enactors and restored vintage aircraft, tanks, half-tracks and other equipment, this incredible battle brings history to life! Watch in awe as U.S. and German troops square off before your eyes, featuring authentic armor and soldiers in historically accurate dress. 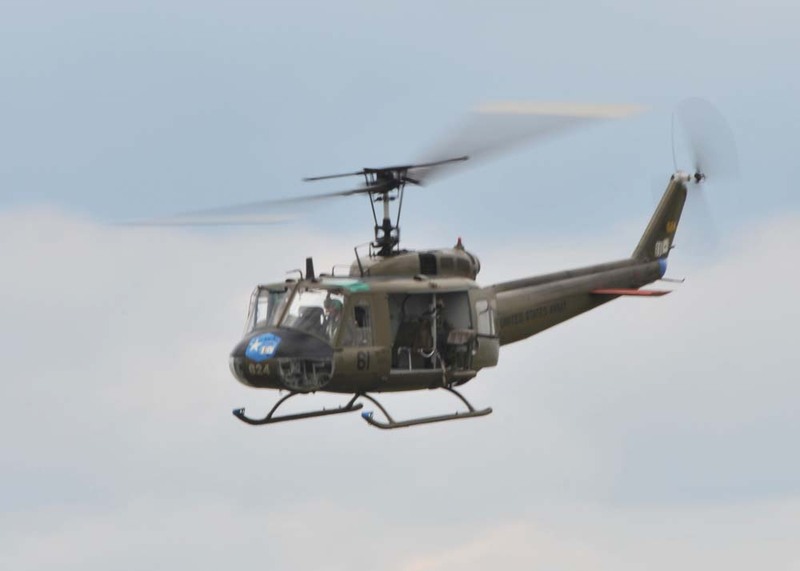 Helotown USA comes to the Thunder Over Michigan Air Show Presented by Wayne County Airport Authority will feature Cold War helicopters, Hollywood battles, the infamous Soviet Mi-24 Hind and many more awe-inspiring choppers of both past and present day! Not only can you see the amazing capabilities of past and present military members and machines, but the kids have a zone just for them! With all of the fun activities we have to offer, the family is bound to have a great time! 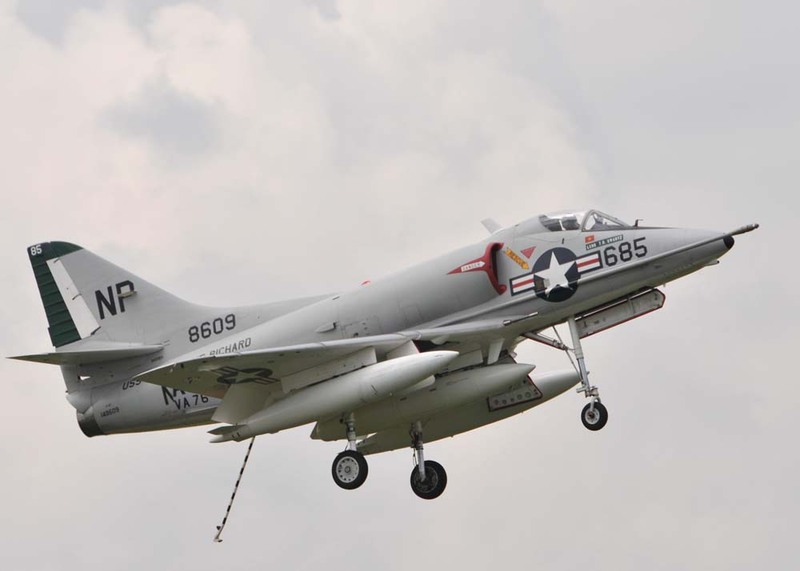 When you come to Thunder Over Michigan you are supporting the Yankee Air Museum! Each Thunder Over Michigan ticket also gets you free admission to the museum the day your ticket is for. Get to the grounds a little early so you can see what makes the Yankee Air Museum so unique and wonderful.